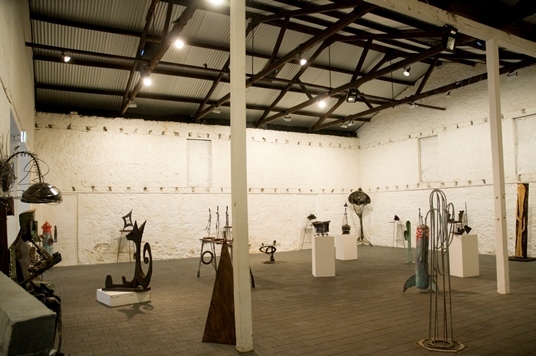 The Moores Building Contemporary Art Gallery is a City of Fremantle subsidised exhibition space that promotes a diverse range of contemporary art. Located in Fremantle’s historic west end, this heritage-listed venue has been an important part of Fremantle’s art community since 1994. It is particularly suited to emerging artists and recent graduates due to its low cost gallery spaces and central location. The Moores Building Contemporary Art Gallery has six individual exhibition spaces and supports exhibition development and partnerships with artists, arts organisations and communities by providing subsidised rental spaces, developmental assistance and information services for exhibitors. It is managed by the Fremantle Arts Centre. To find out more about the Moores Building and view the current exhibition program, visit the Fremantle Arts Centre website. For exhibition enquiries contact Coordinator Richie Kuhaupt.